Embody ethereal romance with the shimmering Rose Gold Angel Heart Charm from Nomination. Designed with a small heart resting above a set of ethereal wings, crafted from 9ct rose gold with a stainless steel base, all completed with a polished to perfection finish. https://www.johngreed.com/nomination-rose-gold-angel-heart-charm 128307 Rose Gold Angel Heart Charm https://www.johngreed.com/media/catalog/product/n/c/nc3348_0_2.jpg 15 15 GBP InStock /Women/Gifts/Occasions/Valentine's Day Gifts /Women/Charms /Women/Brands/Nomination /Women/Brands/Nomination/Nomination Charms /Women/Rose Jewellery /Women/Gold Jewellery /Women /Women/Gifts /Women/Gifts/Occasions /Women/Brands /Valentine's Day /Valentine's Day/Hearts /Mother's Day /Mother's Day/Hearts /Mother's Day/Most Loved /Women/Women's Events /Women/Women's Events/Spring Edit Embody ethereal romance with the shimmering Rose Gold Angel Heart Charm from Nomination. Designed with a small heart resting above a set of ethereal wings, crafted from 9ct rose gold with a stainless steel base, all completed with a polished to perfection finish. 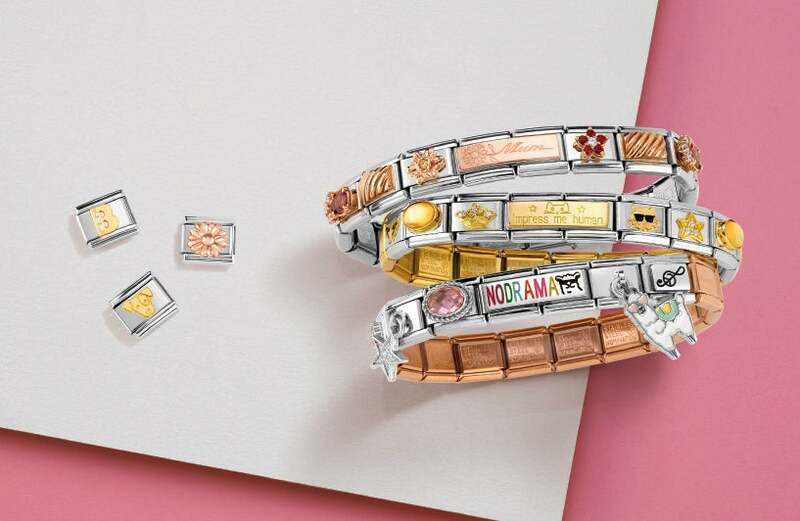 Don't forget you need to add at least one charm for every starter bracelet in your bag!